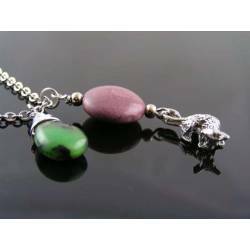 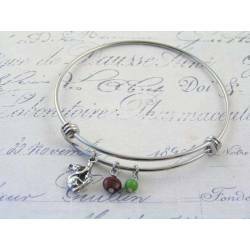 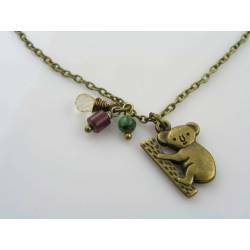 Cute koala charm in combination with mookaite and chrysoprase. 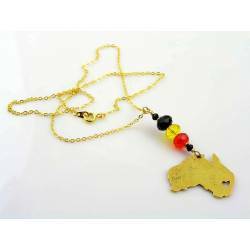 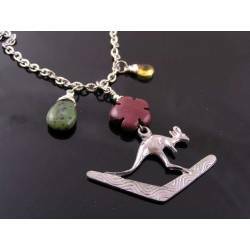 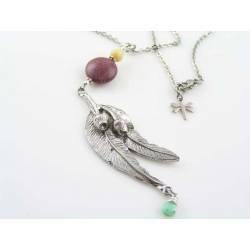 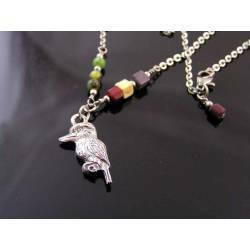 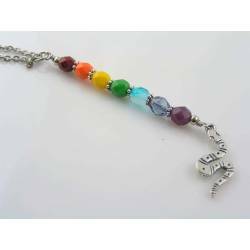 This Australian necklace is set with a very cute koala charm and also displays the Australian gemstones mookaite and chrysoprase. 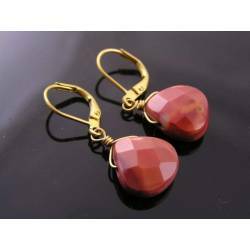 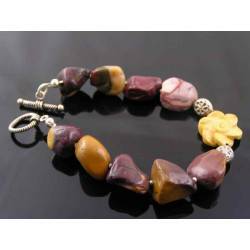 Mookaite is mined in Western Australian and is a colourful variety of jasper. 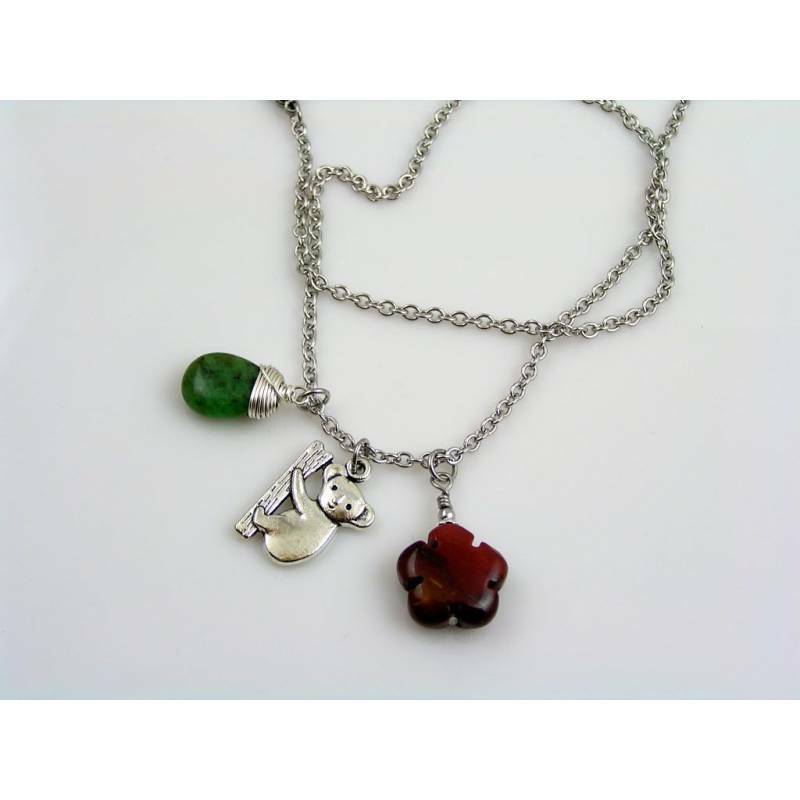 The gemstone has been carved into a flower, measuring 20mm in diameter. 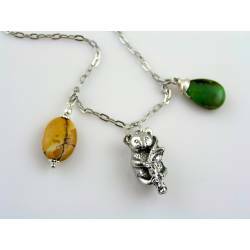 All pendants are attached to a shiny trace chain chain, measuring 51cm length and closing with a lobster claw clasp. 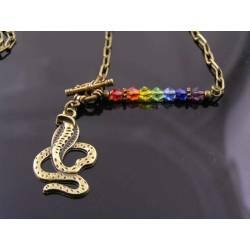 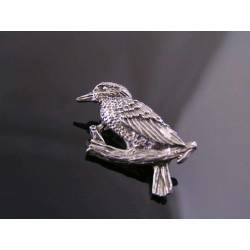 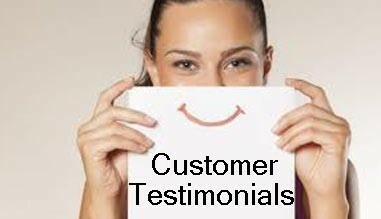 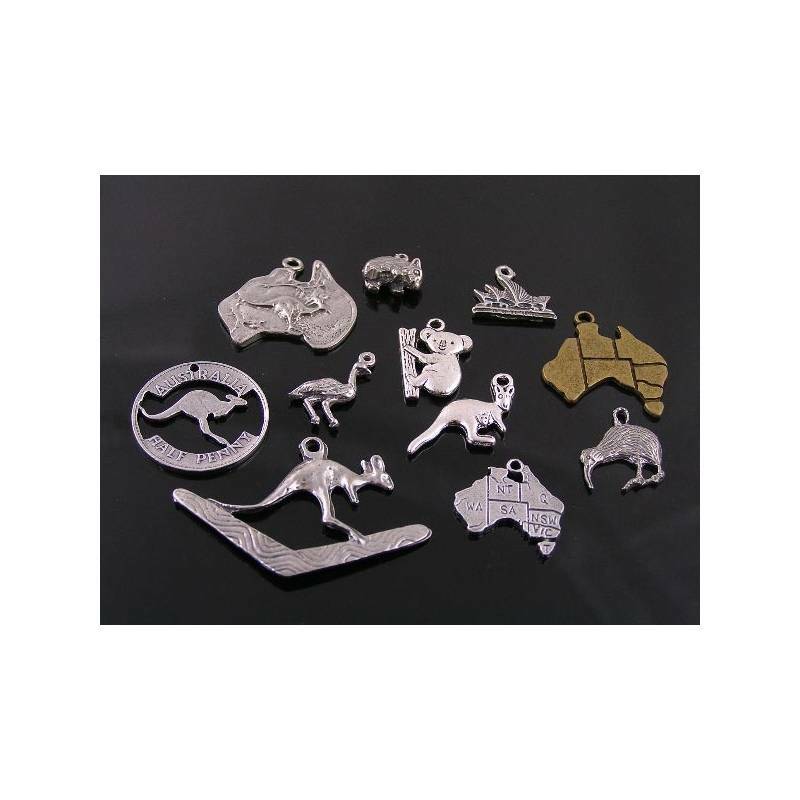 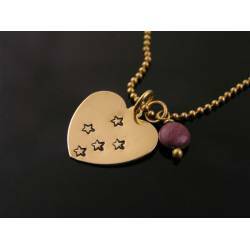 The chain is made out of solid stainless steel for durability. 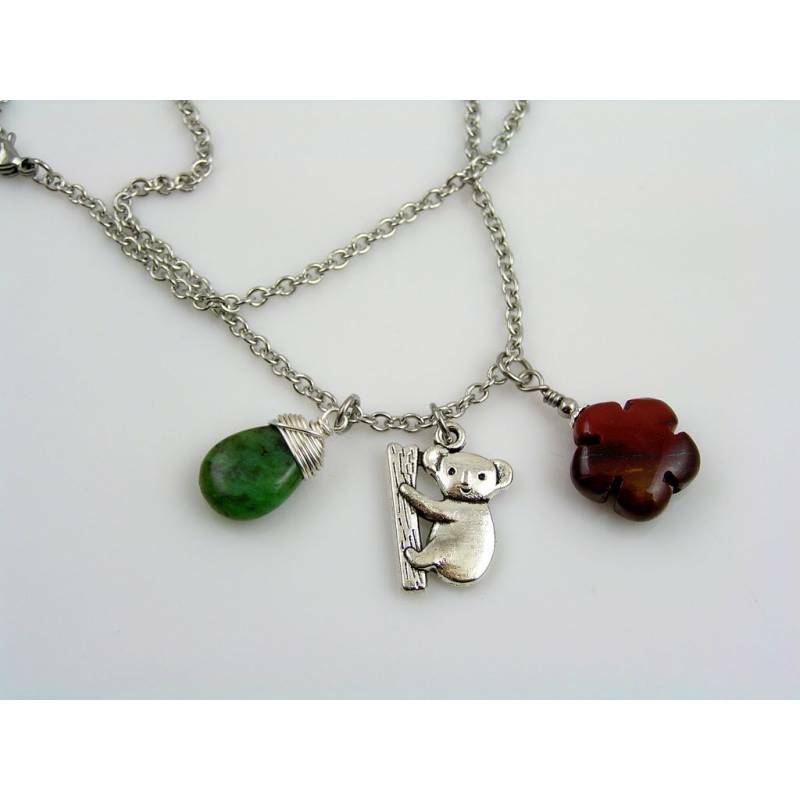 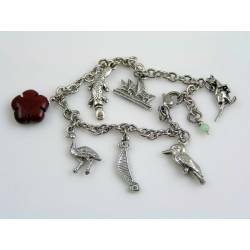 The koala charm measures 2cm in height. 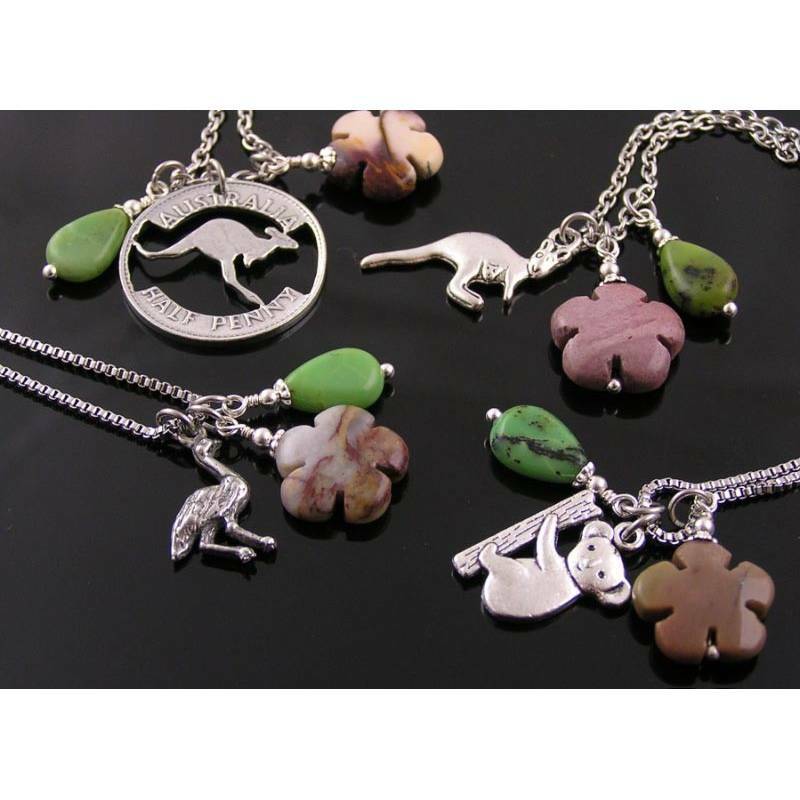 * Photo #4 shows other Australian and New Zealand charms I have in stock. 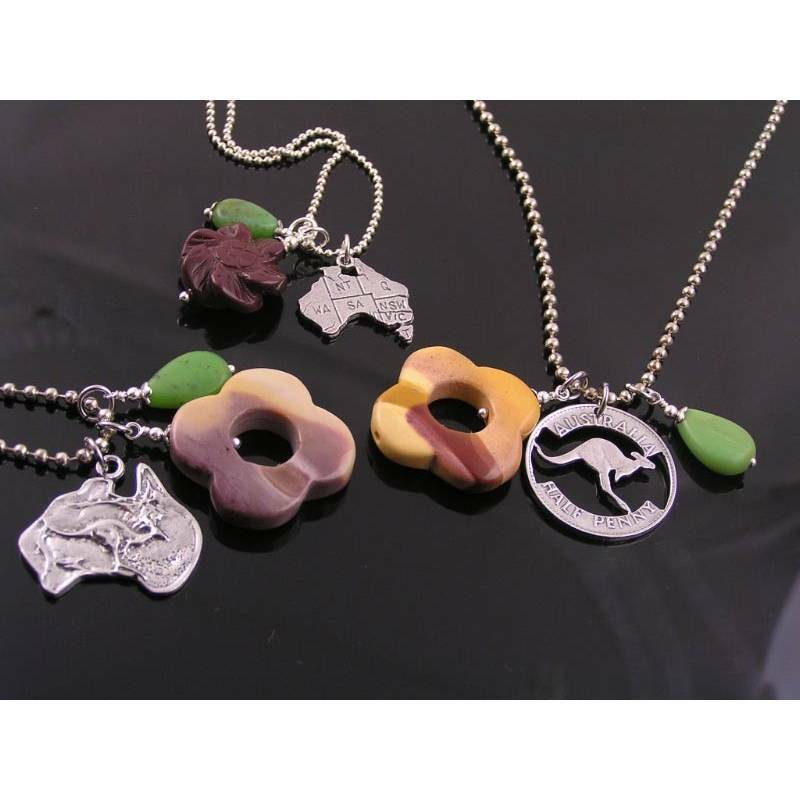 ** Photo #5 and 6 shows other Australian jewellery.